(I think mine is v1, not the v2 described here, but I'm not sure what real difference there is!). This is a really nice bag in pristine condition. It's a good size for a small DSLR or mirrorless with a couple of lenses. "Old-school" style bag with "new-school" features carries a small DSLR or mirrorless system. Adjustable shoulder strap with cushioned non-slip pad. Expandable front pocket fits up to an 8” tablet. Wide back storage pocket. This think tank retrospective 5 can hold either (approx) CSC body, 2-3 lenses, flash, microphone and other bits. There is now a rear pocket which will hold your iPad/Tablet or an 11” Mac-Book Air. The Retrospective 7 also fits a standard size D-SLR kit with 2-3 lenses and accessories with an iPad or MacBook Air in the rear pocket The "sound silencers" underneath the main flap are used to suppress the loud tearing sound hook-and-loop makes while opening and closing the bag. I think this model is no longer available from thinktank but it is still on sale for £140 at amazon. It has velcro fasteners and also a handy feature where you can "silence" the velcro by wrapping it back on itself so that you can open and close the bag without the scratchy sound, e.g. if changing lenses whilst photographing a wedding ceremony. Hook and Loop “Sound Silencers” on the front flap eliminate noise while opening the bag as a further feature to the Retrospective's inconspicuous nature. Comfort is also a major priority in the Retrospective with its soft, adjustable shoulder strap with a cushioned non-slip pad as well as a removable short carrying handle for convenience. Used condition. I bought this bag around 5 years ago and only used it twice since then. Otherwise than that it was sat in a dry cupboard. The bag is in immaculate condition, it's just got a bit of a dust sat in velcro but is does not affect the velcro at all. "Old-school" style bag with "new-school" features carries a gripped DSLR with a 24-70 f/2.8 attached. Perfect size for gripped DSLR with a 24-70 f/2.8 attache. Has plenty of years left in it. Overall I would say in very good condition. For sale THINKTANK Retrospective 7 Black Poly Canvas , maybe the best shoulder bag ever made ! Practical and low profile bag ! This Retrospective 6 will hold a Mirrorless System, Standard DSLR or Gripped DSLR with up to 2 lenses. The large storage pocket at the rear of the bag can be used to carry an 8" tablet. Hook and Loop “Sound Silencers” on the front flap eliminate noise while opening the bag as a further feature to the Retrospective's inconspicuous nature. There is now a rear pocket which will hold your iPad or an 11” Mac-Book Air. The Retrospective 7 also fits a standard size D-SLR kit with 2-3 lenses and accessories with an iPad or MacBook Air in the rear pocket. This Retrospective 7 Leather will hold a standard DSLR with 2-3 lenses. The large storage pocket at the rear of the bag can be used to carry a 10" tablet or an 11" MacBook Air. Hook and Loop “Sound Silencers” on the front flap eliminate noise while opening the bag as a further feature to the Retrospective's inconspicuous nature. The bag is conspicous and allows a photographer to blend in with the crowd in any situation. 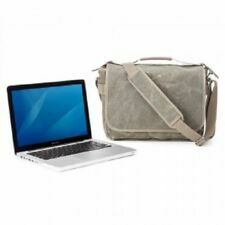 The bag has an 'old school' feel with a plethora of up to date features and technology for the digital age. This Retrospective 30 Leather will hold 2 gripped DSLRs and 3-6 lenses. The large storage pocket at the rear of the bag can be used to carry a 10" tablet or an 11" MacBook Air. Hook and Loop “Sound Silencers” on the front flap eliminate noise while opening the bag as a further feature to the Retrospective's inconspicuous nature. The large storage pocket at the rear of the bag can be used to carry a 8" tablet. Hook and Loop “Sound Silencers” on the front flap eliminate noise while opening the bag as a further feature to the Retrospective's inconspicuous nature. Soft and supple materials the is customize the body, and the properties and quality you get from thinkTANK photo products expect to find themselves in the Retrospective® 7. One contains the Retrospective® 7 standard DSLR with attached standard zoom and two other lenses up to a 2.8 / 70-200 mm lens. The think tank retrospective 5 sandstone is designed for the professional photographer that want - to be unobtrusive in the amount and in any situation or needs. The think tank designers have for this purpose aligned to these functions and technologies of the "new school" to perfect the look and the feel to photo pockets of "old school". Blue TT726 Professional. Color: Blue. If the decisive criterion for a bag is a scheduled 2.8 / 70-200 mm lens (or similar large optics) on a standard or Pro DSLR body, the retrospective 20 is the only right choice. An iPad or similar tablet can loosely be accommodate in the front pocket of the retrospective 20. Pinestone TT746 Professional. Color: Pinestone. Blue TT744 Professional. Color: Blue. Black TT749 Professional. Color: Black. Black TT742 Professional. Color: Black. Black TT754 Professional. Color: Black. Pinestone TT750 Professional. Color: Pinestone. Black TT770 Professional. Color: Black. Blue TT752 Professional. Color: Blue. [ThinkTank Photo] LaptopCase Retrospective 15L. Black TT724 Professional. Color: black. [ThinkTank Photo] LaptopCase Retrospective 15L. Blue TT724 Professional. Color: blue. Pinestone TT722 Professional. [ThinkTank Photo] LaptopCase Retrospective 15L. Color: Pinestone. Pinestone TT719 Professional. [ThinkTank Photo] LaptopCase Retrospective 13L. Color: Pinestone. Pinestone TT758 Professional. Color: Pinestone. Black TT762 Professional. Color: Black. [ThinkTank Photo] LaptopCase Retrospective 13L. Black TT721 Professional. Color: Black. Pinestone TT766 Professional. [ThinkTank Photo] LaptopCase Retrospective 30. Color: Pinestone. Internal Size: 38 x 22 x 15.2 cm. SandSton TT717 Professional. Color: SandSton.